Nobody's surprised Dennis Bonnen was elected speaker yesterday, but a couple moves he made shortly thereafter were very interesting. 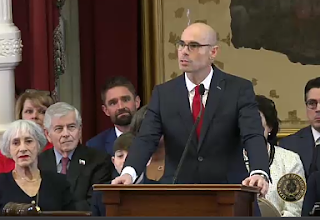 First, did you notice who's sat behind Bonnen as he gave his acceptance speech?!? Jeff Leach and Stephanie Klick. If Jeff Leach and Stephanie Klick were invited to sit behind the speaker as he addressed the body, that means conservatives are no longer shut out of the speaker's office. It doesn't necessarily mean we get everything we want. But it does mean we're no longer being artificially shut out. 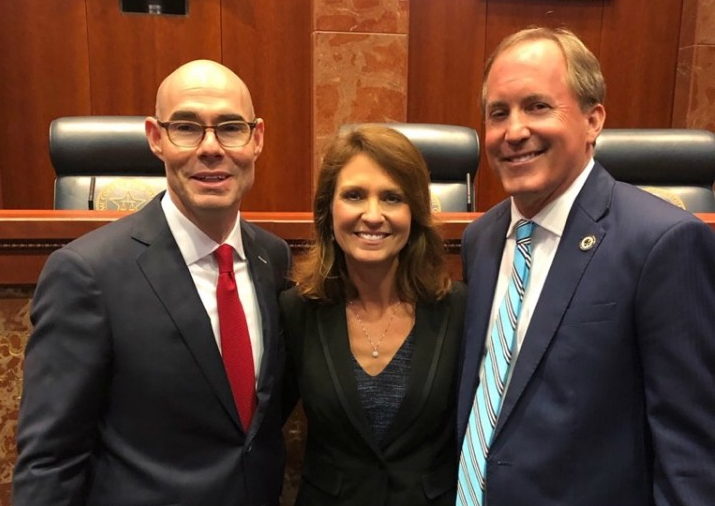 After the House adjourned, Bonnen then attended Ken Paxton's swearing in ceremony (as the picture above attests). It wasn't anything Bonnen said or did at the Paxton event...but the fact that he was there spoke volumes. 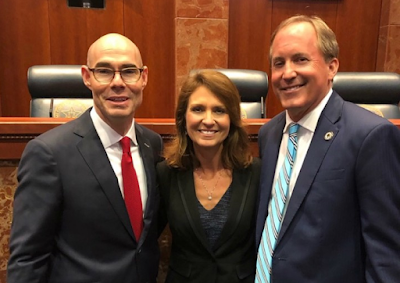 Put differently: Can you imagine Dennis Bonnen's predecessor showing up at a Ken Paxton event?!? Bottom Line: A lot of work remains...but for the first time in a long time it looks like that work might not be pointless.